The Forum for the History of Science in America’s newsletter regularly prints conversations between accomplished scholars in the history of American science and younger historians. In the most recent number, (PDF available here) FHSA editor, Dan Bouk (Me! ), claimed the privilege to speak with 2011 FHSA Article Prize winner, Michael Pettit. Bouk: Mike, I can see why the committee awarded you the FHSA article prize for 2011. Yours is a fascinating article (download here). One thing that struck me was that it lives in liminal spaces in a variety of ways: you talk about comparative psychologists on the edge of a behavioral revolution, about semi-domesticated raccoons that were not pets and yet not quite wild, about an animal (the raccoon) that thrives on the edges of human society, and about studies that get caught between an ascendant lab culture on one side and “nature faker” controversies among naturalists on the other. Did you go into this paper expecting to tell story about psychology at the margins? Pettit: Thanks for the kind words about my article. As a historian, I do tend towards studying the margins of scientific fields and telling stories of failure. This has been a common feature of a number of pieces I have written over the years. I don’t think I have ever directly written about anyone who is typically considered a canonical figure in the history of science. I seem to write screwball comedies rather than epics or tragedies. 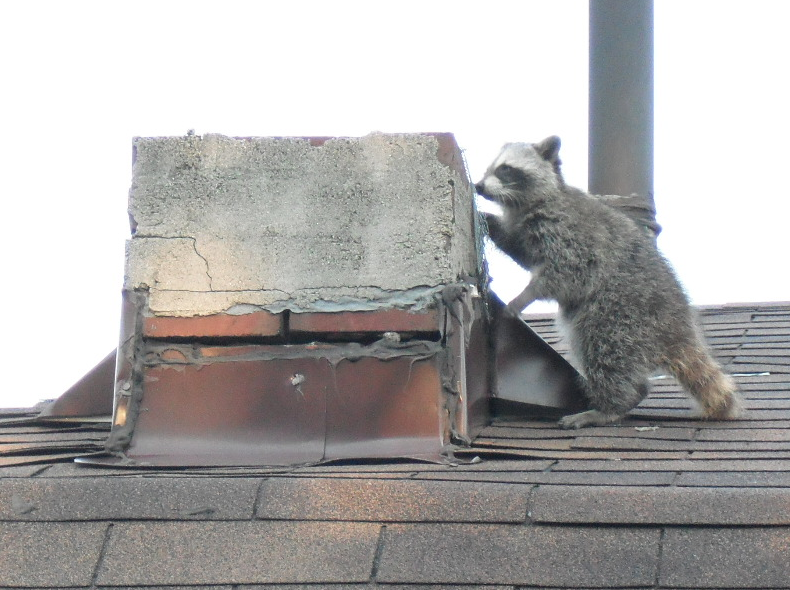 The immediate impetus for the article comes from living in Toronto, a city with a particularly dense raccoon population. The city-issued compost bins have a lock on them to make them raccoon proof. This strategy worked for a week or two. People have devised all kinds of alternative means of securing their garbage. Thinking about these locks, I wondered why no one had ever used the raccoon in a puzzle box experiment, the foundational experiment in comparative psychology. After doing a little searching in databases, I soon found out that they had and I knew I had a story I wanted to tell. Bouk: Raccoons are really quite remarkable animals! Changing direction a bit, I was interested throughout the paper in the relative invisibility of rabies. Raccoons in your presentation seemed less threatening than we often fear them to be these days. Those pictures of experimenters “playing” with raccoons strike us today as particularly odd for this reason. It led me to wonder when the fear of rabies came to dominate Americans’ perceptions of raccoons. But what I really want to ask you about are two other aspects of your response: puzzle boxes and Toronto. Let’s start with puzzle boxes. I thought I saw you making an implicit argument about a transition from standardized experiments (puzzle boxes) in the comparative framework, to standardized animal subjects in the behaviorist model. Is that right? Did Thorndike think his puzzle box would yield different results for different species? If so, was the point of the comparative psychology project largely one of ranking species within some linear hierarchy based on competence with a puzzle box? Or is it more complicated than that? Pettit: I too was struck by the absence of discussions of rabies in my sources. Jessica Wang recently published a fascinating article dealing with the intertwined histories of rabies, dogs, and animal control policy in New York City. I was surprised that raccoons do not appear in her story. The comparative psychology of this era was definitely grounded in scala naturae type arguments. This is particularly apparent in the 1935 Handbook of Social Psychology edited by Carl Murchison, which presents a picture of social psychology that is totally unrecognizable today. It consisted of chapters on various racial groups and chapters on the social behaviour of various species written by both psychologists and zoologists. I am not sure if the transition is one of exchanging standardization in apparatus for standardization of organisms. Behaviorism was predicated on the importance of control and was famous for its apparatus (e.g. Skinner box). The European ethologists repeatedly attacked American behaviorism for studying animals under artificial conditions. What interests me more is how model organisms function differently in the behavioral sciences. What happens when standardized organisms start behaving in unstandardized, unexpected ways? How do different scientists view and theorize such behaviors differently? Bouk: So we’re back to an interest in the margins, to the uncontrollable, to the screwball comedies. Now I would like to move on to the topic of Toronto. How much does it matter, do you think, that you’re doing history of the United States from the outside? Does your Canadian position impact your scholarship in any particular way? Do you think you get a different sense of what the “history of science in America” looks like because, unlike most FHSA members (who hail from all over the world, but are very heavily concentrated in US institutions) you work in Toronto? Pettit: I find that in many US history graduate programs in history there is a pretty firm line between those who study the United States and those that didn’t. One of the things I liked most about my graduate cohort was that no one region dominated as we spent a lot of time together talking about history. I think this instilled an implicit comparative perspective even when I wasn’t doing explicit comparative history. I think one disadvantage is that I may be more likely to speak of a singular American culture than I think most Americanists would. They tend to see it as quite fragmented along lines of identity, politics, and region. Toronto is a great place to do history of science these days. There are about ten faculty members in the region who work on some aspect of the history of psychology. At York, the new STS graduate program and research institute underscore the wonderful relationships which exist among historians, sociologists, psychologists, and anthropologists studying science. Finally, there has been more regional integration with workshops and conferences among universities in Southern Ontario. All these relations shape my thinking for the better. Bouk: Speaking of shaping your thinking, where is your thinking taking you next? That is, what are you working on now? Pettit: The raccoon article was a bit of a transition piece for me. I had just finished the writing of my first book, The Science of Deception: Psychology and Commerce in America (forthcoming from the University of Chicago Press at the end of this year). Like the book, the raccoon article is interested in how psychology as a discipline was carved out of a series encounters with various trickster figures. My current project examines how various scientists and social reformers have grappled with and represented animal sexual behavior from the 1920s to 1970s. It focuses on the question: under what historical conditions and to whom do queer forms of life and behaviors become legible and for whom are they ignored and marginalized? Somewhat implicit in the raccoon article is the idea that one can write an ecocritical or environmental history of psychology. This is a perspective that is becoming more prominent in the current project. Recently, I have been spending a fair bit of time tracing the history of tilapia as different species of the fish move out of African lakes and rivers into American animal behavior labs and simultaneously become a central feature Pacific Rim aquaculture. These interests are also reflected in a new course I am currently designing at York on global health histories designed for health majors. This entry was posted in Dan, environmental history, history of the human sciences, Michael Pettit, psychology, Raccoons on May 23, 2012 by americanscience. What an amazing interview, that was so exciting to read it, so many interesting ideas, that was lovely to learn from such a smart person's thoughts! Thank you very much for publishing this interview!